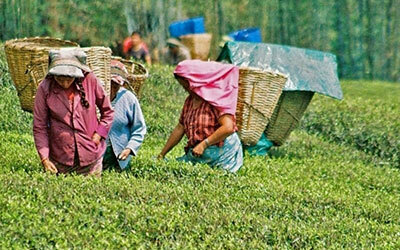 Irrigation in Young Tea Area. Sprinkler Irrigation System is used to spray water into the air and allowed to fall on the ground surface somewhat resembling rainfall to replenish water requirement. 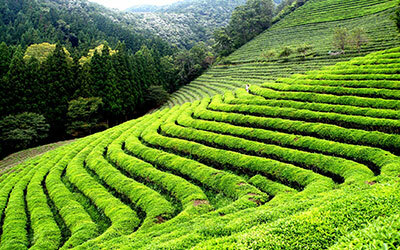 Tender shoots are constantly removed by plucking to produce Quality Tea. 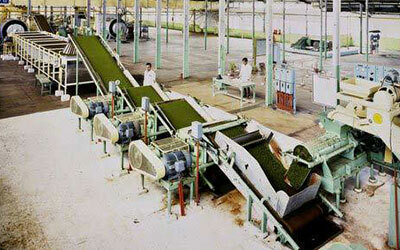 Green Leaf is passed through several natural processing methods before it is converted into black tea. 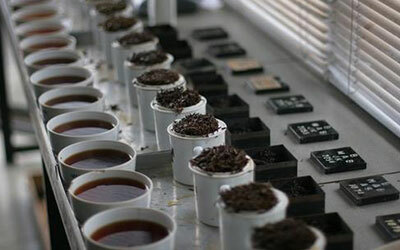 Testing is done to evaluate cup qualities like brightness, briskness and pungency. Withering Partial dehydration of shoots (about 75 % moisture) to make them leathery for rolling: chemical changes Exposure to air under natural or controlled conditions. Withering lofts/ drums/ tunnels/ troughs: continous withering machine. 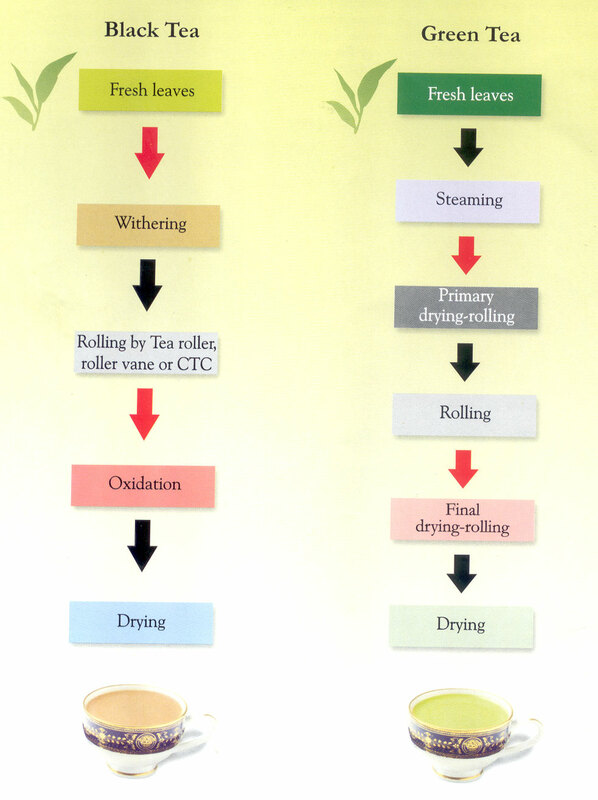 Lowering of moisture to about 55 percent; increases in caffeine, soluble sugars and amino acids; changes in proportion of organic acids and activity of leaf enzymes. Grading & Sorting Remove dust and fibre & grading into 2 to 6 clean grades The leaf is put through Grade Shifter. Fibrex Pennvolt Sorting Machine	 Sizing of different grades done.